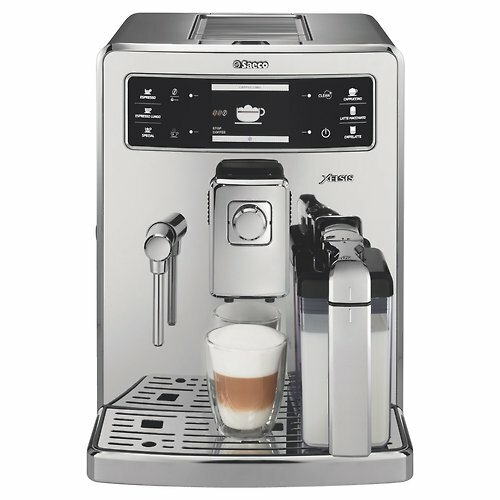 The main cost of this $3,199 espresso machine, I’m guessing, is the special feature that lets you store drink recipes and retrieve them with a futuristic fingerprint pad. You push your finger onto the screen and then it makes your espresso. If you’re a coffee snob, or a barista, you know that a little tiny machine isn’t going to tamp the espresso down properly or develop enough pressure to pull a decent shot. But I guess if you’ve got three grand to blow on a coffeemaker, you’re probably in a headspace where you’re tired of not having coffee made automatically when you push your thumb into the cheek of a Starbucks employee without saying a word.